Do you know the flow? Do you know where our water has been and where it will go? In a coastal city like Santa Monica, where the sun shines and the ocean sparkles, it is easy to feel like we are swimming in all the water we could ever need or want. Unfortunately, that couldn’t be farther from the truth. While we are surrounded by water, it isn’t water that we can drink. The city of Los Angeles imports 86% of its water from far away mountain sources. 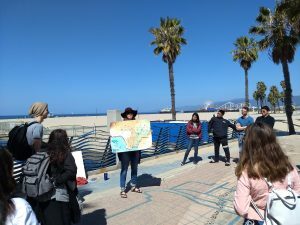 With sustainability in mind, communities like Santa Monica are moving toward water independence through actions both large and small. 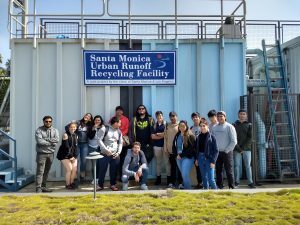 The SantaMonica Urban Runoff Recycling Facility, affectionately known at the SMURRF, catches dry runoff turning it into water that can be used for irrigation and toilets. It is currently building a cistern that will store storm water that can be used to supplement water needs. 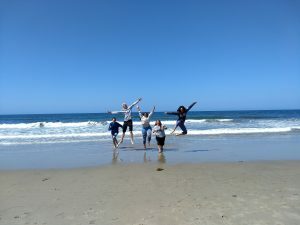 Organizations like Heal the Bay volunteer their time to teach those in our community about water, pollution, and how they both move in and out of our (Santa Monica) bay, while also completing a variety of other functions that support sustainable water usage in our community. 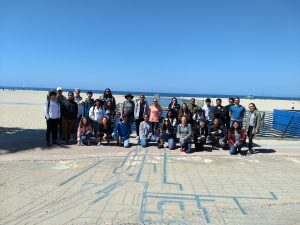 In Professor Melendez’s Introduction to Environmental Geology course we visit both the SMURRF and the Pico/Kenter storm drain to learn about water in our community first hand! Huge thanks to Neal Shapiro from the SMURRF and Nancy Shrodes from Heal the Bay for their fantastic tours!